These are my first experiments on paper using the Gelli plate. The next two are my favourite prints. I guess you can see that I'm into trees and cherry blossoms at the moment. I find that the most difficult part is not to forget taking notes about which paint and medium I'm using. It's especially true when I get a nice texture effect I'd like to be able to reproduce. The sakura quilt is still on my mind, but I got a bit carried away with all this monotype thing. 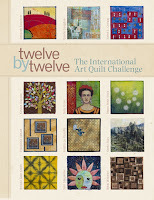 Next is a picture of the first Gelli prints I did on fabric. 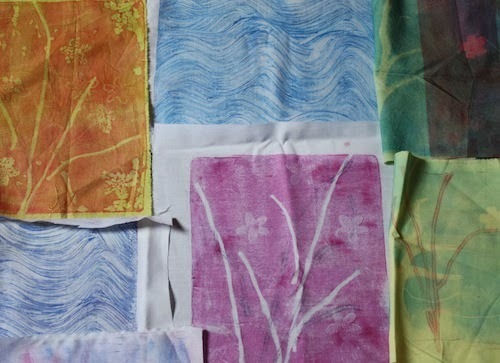 I did many more prints on fabric using different kinds of acrylic and fabric paints. I'll try and take pictures tomorrow. 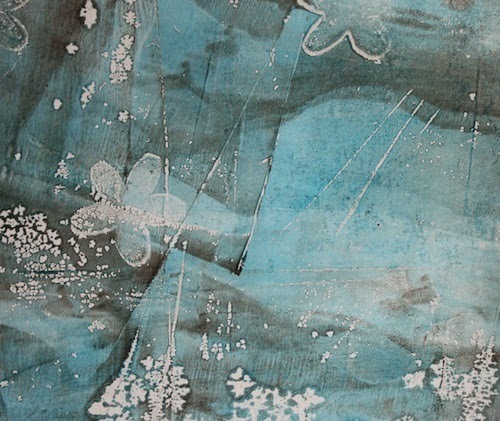 I love the effects you're getting with these gelli prints, they look so beautifully calming and subtle. Your prints are beautiful - so much "Françoise"! You make me want to start "gelliprinting" immediately! Guess I have to order a plate. I know how to make them myself, but it's so much easier to have a plate ready whenever you want to print. I must get back to doing some more soon. 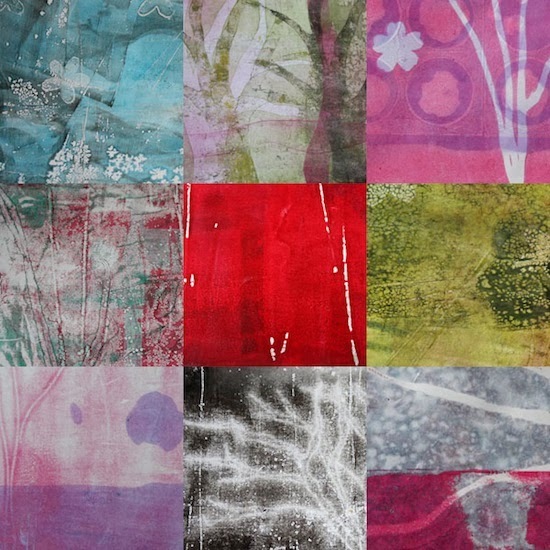 Lovely work with the Gelli plate Francoise. 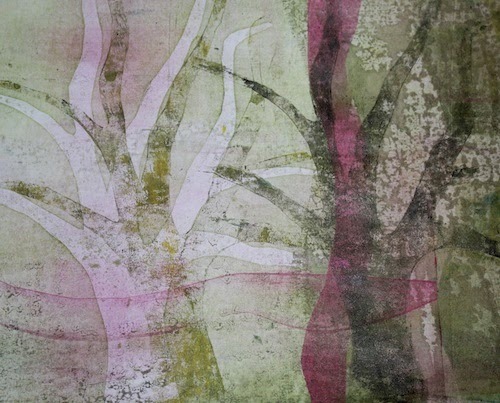 The gelli prints look so wonderful with all the subtle details!